Shall I venture to say, my Lord, that in our late Conversation, you were inclined to the Party which you adopted rather by the Feelings of your good Nature, than by the Conviction of your Judgment? We laid open the Foundations of Society; and you feared, that the Curiosity of this Search might endanger the Ruin of the whole Fabrick. You would readily have allowed my Principle, but you dreaded the Consequences; you thought, that having once entered upon these Reasonings, we might be carried insensibly and irresistably farther than at first we could either have imagined or wished. But for my part, my Lord, I then thought, and am still of the same Opinion, that Error, and not Truth of any kind, is dangerous; that ill Conclusions can only flow from false Propositions; and that, to know whether any Proposition be true or false, it is a preposterous Method to examine it by its apparent Consequences. This is Political Society. And hence the Sources of what are usually called States, civil Societies, or Governments; into some Form of which, more extended or restrained, all Mankind have gradually fallen. And since it has so happened, and that we owe an implicit Reverence to all the Institutions of our Ancestors, we shall consider these Institutions with all that Modesty with which we ought to conduct ourselves in examining a received Opinion; but with all that Freedom and Candour which we owe to Truth wherever we find it, or however it may contradict our own Notions, or oppose our own Interests. There is a most absurd and audacious Method of reasoning avowed by some Bigots and Enthusiasts, and through Fear assented to by some wiser and better Men; it is this. They argue against a fair Discussion of popular Prejudices, because, say they, tho they would be found without any reasonable Support, yet the Discovery might be productive of the most dangerous Consequences. Absurd and blasphemous Notion! As if all happiness was not connected with the Practice of Virtue, which necessarily depends upon the Knowledge of Truth; that is, upon the Knowledge of those unalterable Relations which Providence has ordained that every thing should bear to every other. These Relations, which are Truth itself, the Foundation of Virtue, and consequently, the only Measures of Happiness, should be likewise the only Measures by which we should direct our Reasoning. To these we should conform in good Earnest; and not think to force Nature, and the whole Order of her System, by a Compliance with our Pride, and Folly, to conform to our artificial Regulations. It is by a Conformity to this Method we owe the Discovery of the few Truths we know, and the little Liberty and rational Happiness we enjoy. We have something fairer Play than a Reasoner could have expected formerly; and we derive Advantages from it which are very visible. Civil Government borrows a Strength from ecclesiastical; and artificial Laws receive a Sanction from artificial Revelations. The Ideas of Religion and Government are closely connected; and whilst we receive Government as a thing necessary, or even useful to our Well-being, we shall in spite of us draw in, as a necessary, tho undesirable Consequence, an artificial Religion of some kind or other. To this the Vulgar will always be voluntary Slaves; and even those of a Rank of Understanding superior, will now and then involuntarily feel its Influence. It is therefore of the deepest Concernment to us to be set right in this Point; and to be well satisfied whether civil Government be such a Protector from natural Evils, and such a Nurse and Increaser of Blessings, as those of warm Imaginations promise. In such a Discussion, far am I from proposing in the least to reflect on our most wise Form of Government; no more than I would in the freer Parts of my philosophical Writings, mean to object to the Piety, Truth, and Perfection of our most excellent Church. Both I am sensible have their Foundations on a Rock. No Discovery of Truth can prejudice them. On the contrary, the more closely the Origin of Religion and Government are examined, the more clearly their Excellencies must appear. They come purified from the Fire. My Business is not with them. Having entered a Protest against all Objections from these Quarters, I may the more freely enquire from History and Experience, how far Policy has contributed in all Times to alleviate those Evils which Providence, that perhaps has designed us for a State of Imperfection, has imposed; how far our physical Skill has cured our constitutional Disorders; and whether, it may not have introduced new ones, cureable perhaps by no Skill. The first Accounts we have of Mankind are but so many Accounts of their Butcheries. All Empires have been cemented in Blood; and in those early Periods when the Race of Mankind began first to form themselves into Parties and Combinations, the first Effect of the Combination, and indeed the End for which it seems purposely formed, and best calculated, is their mutual Destruction. All ancient History is dark and uncertain. One thing however is clear. There were Conquerors, and Conquests, in those Days; and consequently, all that Devastation, by which they are formed, and all that Oppression by which they are maintained. We know little of Sesostris, but that he led out of Egypt an Army of above 700,000 Men; that he over-ran the Mediterranean Coast as far as Colchis; that in some Places, he met but little Resistance, and of course shed not a great deal of Blood; but that he found in others, a People who knew the Value of their Liberties, and sold them dear. Whoever considers the Army this Conqueror headed, the Space he traversed, and the Opposition he frequently met; with the natural Accidents of Sickness, and the Dearth and Badness of Provision to which he must have been subject in the Variety of Climates and Countries his March lay through, if he knows any thing, he must know, that even the Conquerors Army must have suffered greatly; and that, of this immense Number, but a very small Part could have returned to enjoy the Plunder accumulated by the Loss of so many of their Companions, and the Devastation of so considerable a Part of the World. Considering, I say, the vast Army headed by this Conqueror, whose unwieldy Weight was almost alone sufficient to wear down its Strength, it will be far from Excess to suppose that one half was lost in the Expedition. If this was the State of the Victorious, and from the Circumstances, it must have been this at the least, the Vanquished must have had a much heavier Loss, as the greatest Slaughter is always in the Flight, and great Carnage did in those Times and Countries ever attend the first Rage of Conquest. It will therefore be very reasonable to allow on their account as much as, added to the Losses of the Conqueror, may amount to a Million of Deaths, and then we shall see this Conqueror, the oldest we have on the Records of History, (though, as we have observed before, the Chronology of these remote Times is extremely uncertain) opening the Scene by a Destruction of at least one Million of his Species, unprovoked but by his Ambition, without any Motives but Pride, Cruelty, and Madness, and without any Benefit to himself; (for Justin expressly tells us, he did not maintain his Conquests) but solely to make so many People, in so distant Countries, feel experimentally, how severe a Scourge Providence intends for the human Race, when he gives one Man the Power over many, and arms his naturally impotent, and feeble Rage, with the Hands of Millions, who know no common Principle of Action, but a blind Obedience to the Passions of their Ruler. The Babylonian, Assyrian, Median, and Persian Monarchies must have poured out Seas of Blood in their Formation, and in their Destruction. The Armies and Fleets of Xerxes, their Numbers, the glorious Stand made against them, and the unfortunate Event of all his mighty Preparations, are known to every body. In this Expedition, draining half Asia of its Inhabitants, he led an Army of about two Millions to be slaughtered, and wasted, by a thousand fatal Accidents, in the same Place where his Predecessors had before by a similar Madness consumed the Flower of so many Kingdoms, and wasted the Force of so extensive an Empire. It is a cheap Calculation to say, that the Persian Empire in its Wars, against the Greeks, and Sythians, threw away at least four Millions of its Subjects, to say nothing of its other Wars, and the Losses sustained in them. These were their Losses abroad; but the War was brought home to them, first by Agesilaus, and afterwards, by Alexander. I have not, in this Retreat, the Books necessary to make very exact Calculations; nor is it necessary to give more than Hints to one of your Lordships Erudition. You will recollect his uninterrupted Series of Success. You will run over his Battles. You will call to mind the Carnage which was made. You will give a Glance of the Whole, and you will agree with me; that to form this Hero no less than twelve hundred thousand Lives must have been sacrificed; but no sooner had he fallen himself a Sacrifice to his Vices, than a thousand Breaches were made for Ruin to enter, and give the last hand to this Scene of Misery and Destruction. His Kingdom was rent and divided; which served to employ the more distinct Parts to tear each other to Pieces, and bury the whole in Blood and Slaughter. The kings of Syria and of Egypt, the Kings of Pergamus and Macedon, without Intermission worried each other for above two hundred Years; until at last a strong Power arising in the West, rushed in upon them and silenced their Tumults, by involving all the contending Parties in the same Destruction. It is little to say, that the Contentions between the Successors of Alexander depopulated that Part of the World of at least two Millions. Let us pass by the Wars, and the Consequences of them, which wasted Grecia-Magna, before the Roman Power prevailed in that Part of Italy. They are perhaps exaggerated; therefore I shall only rate them at one Million. Let us hasten to open that great Scene which establishes the Roman Empire, and forms the grand Catastrophe of the ancient Drama. This Empire, whilst in its Infancy, began by an Effusion of human Blood scarcely credible. The neighbouring little States teemed for new Destruction: The Sabines, the Samnites, the Æqui, the Volsci, the Hetrurians, were broken by a Series of Slaughters which had no Interruption, for some hundreds of Years; Slaughters which upon all sides consumed more than two Millions of the wretched People. The Gauls rushing into Italy about this Time, added the total Destruction of their own Armies to those of the ancient Inhabitants. In short, it were hardly possible to conceive a more horrid and bloody Picture, if that which the Punic Wars that ensued soon after did not present one, that far exceeds it. Here we find that Climax of Devastation, and Ruin, which seemed to shake the whole Earth. The Extent of this War which vexed so many Nations, and both Elements, and the Havock of the human Species caused in both, really astonishes beyond Expression, when it is nakedly considered, and those Matters which are apt to divert our Attention from it, the Characters, Actions, and Designs of the Persons concerned, are not taken into the Account. These Wars, I mean those called the Punic Wars, could not have stood the human Race in less than three Millions of the Species. And yet this forms but a Part only, and a very small Part, of the Havock caused by the Roman Ambition. The War with Mithridates was very little less bloody; that Prince cut off at one Stroke 150,000 Romans by a Massacre. In that War Sylla destroyed 300,000 Men at Cheronea. He defeated Mithridates Army under Dorilaus, and slew 300,000. This great and unfortunate Prince lost another 300,000 before Cyzicum. In the course of the War he had innumerable other Losses; and having many Intervals of Success, he revenged them severely. He was at last totally overthrown; and he crushed to Pieces the King of Armenia his Ally by the Greatness of his Ruin. All who had Connexions with him shared the same Fate. The merciless Genius of Sylla had its full Scope; and the Streets of Athens were not the only ones which ran with Blood. At this Period, the Sword, glutted with foreign Slaughter, turned its Edge upon the Bowels of the Roman Republick itself; and presented a Scene of Cruelties and Treasons enough almost to obliterate the Memory of all the external Devastations. I intended, my Lord, to have proceeded in a sort of Method in estimating the Numbers of Mankind cut off in these Wars which we have on Record. But I am obliged to alter my Design. Such a tragical Uniformity of Havock and Murder would disgust your Lordship as much as it would me; and I confess I already feel my Eyes ake by keeping them so long intent on so bloody a Prospect. I shall observe little on the Servile, the Social, the Gallic, and Spanish Wars; not upon those with Jugurtha, nor Antiochus, nor many others equally important, and carried on with equal Fury. The Butcheries of Julius Cæsar alone, are calculated by some body else; the Numbers he has been a means of destroying have been reckoned at 1,200,000. But to give your Lordship an Idea that may serve as a Standard, by which to measure, in some degree, the others; you will turn your Eyes on Judea; a very inconsiderable Spot of the Earth in itself, though ennobled by the singular Events which had their Rise in that Country. This Spot happened, it matters not here by what means, to become at several times extremely populous, and to supply Men for Slaughters scarcely credible, if other well-known and well-attested ones had not given them a Colour. The first settling of the Jews here, was attended by an almost entire Extirpation of all the former Inhabitants. Their own civil Wars, and those with their petty Neighbours, consumed vast Multitudes almost every Year for several Centuries; and the Irruptions of the Kings of Babylon and Assyria made immense Ravages. Yet we have their History but partially, in an indistinct confused manner; so that I shall only throw the strong Point of Light upon that Part which coincides with Roman History, and of that Part only on the Point of Time when they received the great and final Stroke which made them no more a Nation; a Stroke which is allowed to have cut off little less than two Millions of that People. I say nothing of the Loppings made from that Stock whilst it stood; nor from the Suckers that grew out of the old Root ever since. But if in this inconsiderable Part of the Globe, such a Carnage has been made in two or three short Reigns and that this Carnage, great as it is, makes but a minute Part of what the Histories of that People inform us they suffered; what shall we judge of Countries more extended, and which have waged Wars by far more considerable? Instances of this Sort compose the Uniform of History. But there have been Periods when no less than universal Destruction to the Race of Mankind seems to have been threatened. When the Goths, the Vandals, and the Huns poured into Gaul, Italy, Spain, Greece, and Africa, carrying Destruction before them as they advanced, and leaving horrid Desarts every where behind them. Vastum ubique silentium, secreti colles; fumantia procul tecta; nemo exploratoribus obvius, is what Tacitus calls facies Victoriæ. It is always so; but was here emphatically so. From the North proceeded the Swarms of Goths, Vandals, Huns, Ostrogoths, who ran towards the South into Africa itself, which suffered as all to the North had done. About this Time, another Torrent of Barbarians, animated by the same Fury, and encouraged by the same Success, poured out of the South, and ravaged all to the North-east and West, to the remotest Parts of Persia on one hand, and to the Banks of the Loire or further on the other; destroying all the proud and curious Monuments of human Art, that not even the Memory might seem to survive of the former Inhabitants. What has been done since, and what will continue to be done whilst the same Inducements to War continue, I shall not dwell upon. I shall only in one Word mention the horrid Effects of Bigotry and Avarice, in the Conquest of Spanish America; a Conquest on a low Estimation effected by the Murder of ten Millions of the Species. I shall draw to a Conclusion of this Part, by making a general Calculation of the Whole. I think I have actually mentioned above thirty-six Millions. I have not particularized any more. I dont pretend to Exactness; therefore for the sake of a general View, I shall lay together all those actually slain in Battles, or who have perished in a no less miserable manner by the other destructive Consequences of War from the Beginning of the World to this Day, in the four Parts of it, at a thousand times as much; no exaggerated Calculation, allowing for Time and Extent. We have not perhaps spoke of the five-hundredth Part; I am sure I have not of what is actually ascertained in History; but how much of these Butcheries are only expressed in Generals, what Part of Time History has never reached, and what vast Spaces of the habitable Globe it has not embraced, I need not mention to your Lordship. I need not enlarge on these Torrents of silent and inglorious Blood which have glutted the thirsty Sands of Africa, or discoloured the polar Snow, or fed the savage Forests of America for so many Ages of continual War; shall I, to justify my Calculations from the Charge of Extravagance, add to the Account those Skirmishes which happen in all Wars, without being singly of sufficient Dignity in Mischief, to merit a Place in History, but which by their Frequency compensate for this comparative Innocence; shall I inflame the Account by those general Massacres which have devoured whole Cities and Nations; those wasting Pestilences, those consuming Famines, and all those Furies that follow in the Train of War? I have no need to exaggerate; and I have purposely avoided a Parade of Eloquence on this Occasion. I should despise it upon any Occasion; else in mentioning these Slaughters, it is obvious how much the whole might be heightened, by an affecting Description of the Horrors that attend the wasting of Kingdoms, and sacking of Cities. But I do not write to the Vulgar, nor to that which only governs the Vulgar, their Passions. I go upon a naked and moderate Calculation, just enough, without a pedantical Exactness, to give your Lordship some Feeling of the Effects of political Society. I charge the whole of these Effects on political Society. I avow the Charge, and I shall presently make it good to your Lordships Satisfaction. The Numbers I particularized are about thirty-six Millions. Besides those killed in Battles I have something, not half what the Matter would have justified, but something I have said, concerning the Consequences of War even more dreadful than that monstrous Carnage itself which shocks our Humanity, and almost staggers our Belief. So that allowing me in my Exuberance one way, for my Deficiencies in the other, you will find me not unreasonable. I think the Numbers of Men now upon Earth are computed at 500 Millions at the most. Here the Slaughter of Mankind, on what you will call a small Calculation, amounts to upwards of seventy times the Number of Souls this Day on the Globe. A Point which may furnish matter of Reflection to one less inclined to draw Consequences than your Lordship. These Evils are not accidental. Whoever will take the pains to consider the Nature of Society, will find they result directly from its Constitution. For as Subordination, or in other Words, the Reciprocation of Tyranny, and Slavery, is requisite to support these Societies, the Interest, the Ambition, the Malice, or the Revenge, nay even the Whim and Caprice of one ruling Man among them, is enough to arm all the rest, without any private Views of their own, to the worst and blackest Purposes; and what is at once lamentable and ridiculous, these Wretches engage under those Banners with a Fury greater than if they were animated by Revenge for their own proper Wrongs. It is no less worth observing, that this artificial Division of Mankind, into separate Societies, is a perpetual Source in itself of Hatred and Dissention among them. The Names which distinguish them are enough to blow up Hatred, and Rage. Examine History; consult present Experience; and you will find, that far the greater Part of the Quarrels between several Nations, had scarce any other Occasion, than that these Nations were different Combinations of People, and called by different Names;to an Englishman, the Name of a Frenchman, a Spaniard, an Italian, much more a Turk, or a Tartar, raise of course Ideas of Hatred, and Contempt. If you would inspire this Compatriot of ours with Pity or Regard, for one of these; would you not hide that Distinction? You would not pray him to compassionate the poor Frenchman, or the unhappy German. Far from it; you would speak of him as a Foreigner, an Accident to which all are liable. You would represent him as a Man: one partaking with us of the same common Nature, and subject to the same Law. There is something so averse from our Nature in these artificial political Distinctions, that we need no other Trumpet to kindle us to War, and Destruction. But there is something so benign and healing in the general Voice of Humanity, that maugre all our Regulations to prevent it, the simple Name of Man applied properly, never fails to work a salutary Effect. But if there were no other Arguments against artificial Society than this I am going to mention, methinks it ought to fall by this one only. All Writers on the Science of Policy are agreed, and they agree with Experience, that all Governments must frequently infringe the Rules of Justice to support themselves; that Truth must give way to Dissimulation; Honesty to Convenience; and Humanity itself to the reigning Interest. The Whole of this Mystery of Iniquity is called the Reason of State. It is a Reason, which I own I cannot penetrate. What Sort of a Protection is this of the general Right, that is maintained by infringing the Rights of Particulars? What sort of Justice is this, which is inforced by Breaches of its own Laws? These Paradoxes I leave to be solved by the able heads of Legislators and Politicians. For my part, I say what a plain Man would say on such an Occasion. I can never believe, that any Institution agreeable to Nature, and proper for Mankind, could find it necessary, or even expedient in any Case whatsoever to do, what the best and worthiest Instincts of Mankind warn us to avoid. But no wonder, that what is set up in Opposition to the State of Nature, should preserve itself by trampling upon the Law of Nature. The simplest form of Government is Despotism, where all the inferior Orbs of Power are moved merely by the Will of the Supreme, and all that are subjected to them, directed in the same Manner, merely by the occasional Will of the Magistrate. This Form, as it is the most simple, so it is infinitely the most general. Scarce any Part of the World is exempted from its Power. And in those few Places where Men enjoy what they call Liberty, it is continually in a tottering Situation, and makes greater and greater Strides to that Gulph of Despotism which at last swallows up every Species of Government. This Manner of ruling being directed merely by the Will of the weakest, and generally the worst Man in the Society, becomes the most foolish and capricious Thing, at the same time that it is the most terrible and destructive that well can be conceived. In a Despotism the principal Person finds, that let the Want, Misery, and Indigence of his Subjects, be what they will, he can yet possess abundantly of every thing to gratify his most insatiable Wishes. He does more. He finds that these Gratifications increase in proportion to the Wretchedness and Slavery of his Subjects. Thus encouraged both by Passion and Interest to trample on the publick Welfare, and by his Station placed above both Shame and Fear, he proceeds to the most horrid and shocking Outrages upon Mankind. Their Persons become Victims of his Suspicions. The slightest Displeasure is Death; and a disagreeable Aspect is often as great a Crime as High-treason. In the court of Nero a Person of Learning, of unquestioned Merit, and of unsuspected Loyalty, was put to Death for no other Reason than that he had a pedantick Countenance which displeased the Emperor. This very Monster of Mankind appeared in the Beginning of his Reign to be a Person of Virtue. Many of the greatest Tyrants on the Records of History have begun their Reigns in the fairest Manner. But the Truth is, this unnatural Power corrupts both the Heart, and the Understanding. And to prevent the least Hope of Amendment, a King is ever surrounded by a Crowd of infamous Flatterers, who find their Account in keeping him from the least Light of Reason, till all Ideas of Rectitude and Justice are utterly erased from his Mind. When Alexander had in his Fury inhumanly butchered one of his best Friends, and bravest Captains; on the Return of Reason he began to conceive an Horror suitable to the Guilt of such a Murder. In this Juncture, his Council came to his Assistance. But what did his Council? They found him out a Philosopher who gave him Comfort. And in what Manner did this Philosopher comfort him for the Loss of such a Man, and heal his Conscience, flagrant with the Smart of such a Crime? You have the Matter at Length in Plutarch. He told him; that let a Sovereign do what he will, all his actions are just and lawful, because they are his. The Palaces of all Princes abound with such courtly Philosophers. The Consequence was such as might be expected. He grew every Day a Monster more abandoned to unnatural Lust, to Debauchery, to Drunkenness, and to Murder. And yet this was originally a great Man, of uncommon Capacity, and a strong Propensity to Virtue. But unbounded Power proceeds Step by Step, until it has eradicated every laudable Principle. It has been remarked, that there is no Prince so bad, whose Favourites and Ministers are not worse. There is hardly any Prince without a Favourite, by whom he is governed in as arbitrary a Manner as he governs the Wretches subjected to him. Here the Tyranny is doubled. There are two Courts, and two Interests; both very different from the Interests of the People. The Favourite knows that the Regard of a Tyrant is as unconstant and capricious as that of a Woman; and concluding his Time to be short, he makes haste to fill up the Measure of his Iniquity, in Rapine, in Luxury, and in Revenge. Every Avenue to the Throne is shut up. He oppresses, and ruins the People, whilst he persuades the Prince, that those Murmurs raised by his own Oppression are the Effects of Disaffection to the Princes Government. Then is the natural Violence of Despotism inflamed, and aggravated by Hatred and Revenge. To deserve well of the State is a Crime against the Prince. To be popular, and to be a Traitor, are considered as synonimous Terms. Even Virtue is dangerous, as an aspiring Quality, that claims an Esteem by itself, and independent of the Countenance of the Court. What has been said of the chief, is true of the inferior Officers of this Species of Government; each in his Province exercising the same Tyranny, and grinding the People by an Oppression, the more severely felt, as it is near them, and exercised by base and subordinate Persons. For the Gross of the People; they are considered as a mere Herd of Cattle; and really in a little Time become no better; all Principle of honest Pride, all Sense of the Dignity of their Nature, is lost in their Slavery. The Day, says Homer, which makes a Man a Slave, takes away half his Worth; and in fact, he loses every Impulse to Action, but that low and base one of Fear. In this kind of Government human Nature is not only abused and insulted, but it is actually degraded and sunk into a Species of Brutality. 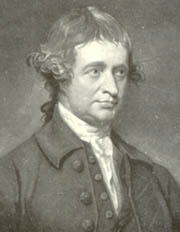 The Consideration of this made Mr. Locke say, with great Justice, that a Government of this kind was worse than Anarchy; indeed it is so abhorred, and detested by all who live under Forms that have a milder Appearance, that there is scarce a rational Man in Europe, that would not prefer Death to Asiatick Despotism. Here then we have the Acknowledgement of a great Philosopher, that an irregular State of Nature is preferable to such a Government; we have the Consent of all sensible and generous Men, who carry it yet further, and avow that Death itself is preferable; and yet this Species of Government, so justly condemned, and so generally detested, is what infinitely the greater Part of Mankind groan under, and have groaned under from the Beginning. So that by sure and uncontested Principles, the greatest Part of the Governments on Earth must be concluded Tyrannies, Impostures, Violations of the Natural Rights of Mankind, and worse than the most disorderly Anarchies. How much other Forms exceed this, we shall consider immediately. Thus, my Lord, we have pursued Aristocracy through its whole Progress; we have seen the Seeds, the Growth, and the Fruit. It could boast none of the Advantages of a Despotism, miserable as those Advantages were, and it was overloaded with an Exuberance of Mischiefs, unknown even to Despotism itself. In effect, it is no more than a disorderly Tyranny. This Form therefore could be little approved even in Speculation, by those who were capable of thinking, and could be less borne in Practice by any who were capable of feeling. However, the fruitful Policy of Man was not yet exhausted. He had yet another Farthing-candle to supply the Deficiencies of the Sun. This was the third Form, known by political Writers under the Name of Democracy. Here the People transacted all publick Business, or the greater Part of it, in their own Persons: their Laws were made by themselves, and upon any Failure of Duty, their Officers were accountable to themselves, and to them only. In all appearance, they had secured by this Method the Advantages of Order and good Government, without paying their Liberty for the Purchace. Now, my Lord, we are come to the Master-piece of Grecian Refinement, and Roman Solidity, a popular Government. The earliest and most celebrated Republic of this Model, was that of Athens. It was constructed by no less an Artist, than the celebrated Poet and Philosopher, Solon. But no sooner was this political Vessel launched from the Stocks, than it overset, even in the Lifetime of the Builder. A Tyranny immediately supervened; not by a foreign Conquest, not by Accident, but by the very Nature and Constitution of a Democracy. An artful Man became popular, the People had Power in their Hands, and they devolved a considerable Share of their Power upon their Favourite; and the only Use he made of this Power, was to plunge those who gave it into Slavery. Accident restored their Liberty, and the same good Fortune produced Men of uncommon Abilities and uncommon Virtues amongst them. But these Abilities were suffered to be of little Service either to their Possessors or to the State. Some of these Men, for whose Sakes alone we read their History, they banished; others they imprisoned; and all they treated with various Circumstances of the most shameful Ingratitude. Republicks have many Things in the Spirit of absolute Monarchy, but none more than this; a shining Merit is ever hated or suspected in a popular Assembly, as well as in a Court; and all Services done the State, are looked upon as dangerous to the Rulers, whether Sultans or Senators. The Ostracism at Athens was built upon this Principle. The giddy People, whom we have now under consideration, being elated with some Flashes of Success, which they owed to nothing less than any Merit of their own, began to tyrannize over their Equals, who had associated with them for their common Defence. With their Prudence they renounced all Appearance of Justice. They entered into Wars rashly and wantonly. If they were unsuccessful, instead of growing wiser by their Misfortune, they threw the whole Blame of their own Misconduct on the Ministers who had advised, and the Generals who had conducted those Wars; until by degrees they had cut off all who could serve them in their Councils or their Battles. If at any time these Wars had an happier Issue, it was no less difficult to deal with them on account of their Pride and Insolence. Furious in their Adversity, tyrannical in their Successes, a Commander had more Trouble to concert his Defence before the People, than to plan the Operations of the Campaign. It was not uncommon for a General, under the horrid Despotism of the Roman Emperors, to be ill received in proportion to the Greatness of his Services. Agricola is a strong Instance of this. No Man had done greater Things, nor with more honest Ambition. Yet on his Return to Court, he was obliged to enter Rome with all the Secrecy of a Criminal. He went to the Palace, not like a victorious Commander who had merited and might demand the greatest Rewards, but like an Offender who had come to supplicate a Pardon for his Crimes. His Reception was answerable: Brevi osculo, & nullo sermone exceptus, turbæ servientium immistus est. Yet in that worse Season of this worst of monarchical  Tyrannies, Modesty, Discretion, and a Coolness of Temper, formed some kind of Security even for the highest Merit. But at Athens, the nicest and best studied Behaviour was not a sufficient Guard for a Man of great Capacity. Some of their bravest Commanders were obliged to fly their Country, some to enter into the Service of its Enemies, rather than abide a popular Determination of their Conduct, lest, as one of them said, their Giddiness might make the People condemn where they meant to acquit; to throw in a black Bean, even when they intended a white one. The Athenians made a very rapid Progress to the most enormous Excesses. The People under no Restraint soon grew dissolute, luxurious, and idle. They renounced all Labour, and began to subsist themselves from the publick Revenues. They lost all Concern for their common Honour or Safety, and could bear no Advice that tended to reform them. At this time Truth became offensive to those Lords the People, and most highly dangerous to the Speaker. The Orators no longer ascended the Rostrum, but to corrupt them further with the most fulsome Adulation. These Orators were all bribed by foreign Princes on the one Side or the other. And besides its own Parties, in this City there were Parties, and avowed ones too, for the Persians, Spartans, and Macedonians, supported each of them by one or more Demagogues pensioned and bribed to this iniquitous Service. The People, forgetful of all Virtue and publick Spirit, and intoxicated with the Flatteries of their Orators (these Courtiers of Republicks, and endowed with the distinguishing Characteristicks of all other Courtiers) this People, I say, at last arrived at that Pitch of Madness, that they coolly and deliberately, by an express Law, made it capital for any Man to propose an Application of the immense Sums squandered in publick Shows, even to the most necessary Purposes of the State. When you see the People of this Republick banishing or murdering their best and ablest Citizens, dissipating the publick Treasure with the most senseless Extravagance, and spending their whole Time, as Spectators or Actors, in playing, fiddling, dancing, and singing, does it not, my Lord, strike your Imagination with the Image of a sort of a complex Nero? And does it not strike you with the greater Horror, when you observe, not one Man only, but a whole City, grown drunk with Pride and Power, running with a Rage of Folly into the same mean and senseless Debauchery and Extravagance? But if this People resembled Nero in their Extravagance, much more did they resemble and even exceed him in Cruelty and Injustice. In the Time of Pericles, one of the most celebrated Times in the History of that Commonwealth, a King of Egypt sent them a Donation of Corn. This they were mean enough to accept. And had the Egyptian Prince intended the Ruin of this City of wicked Bedlamites, he could not have taken a more effectual Method to do it, than by such an ensnaring Largess. The Distribution of this Bounty caused a Quarrel; the Majority set on foot an Enquiry into the Title of the Citizens; and upon a vain Pretence of Illegitimacy, newly and occasionally set up, they deprived of their Share of the royal Donation no less than five thousand of their own Body. They went further; they disfranchised them; and having once begun with an Act of Injustice, they could set no Bounds to it. Not content with cutting them off from the Rights of Citizens, they plundered these unfortunate Wretches of all their Substance; and to crown this Masterpiece of Violence and Tyranny, they actually sold every Man of the five thousand as Slaves in the publick Market. Observe, my Lord, that the five thousand we here speak of, were cut off from a Body of no more than nineteen thousand; for the entire Number of Citizens was no greater at that Time. Could the Tyrant who wished the Roman People but one Neck; could the Tyrant Caligula himself have done, nay, he could scarcely wish for a greater Mischief, than to have cut off, at one Stroke, a fourth of his People? Or has the Cruelty of that Series of sanguine Tyrants, the Caesars, ever presented such a Piece of flagrant and extensive Wickedness? The whole History of this celebrated Republick is but one Tissue of Rashness, Folly, Ingratitude, Injustice, Tumult, Violence, and Tyranny, and indeed of every Species of Wickedness that can well be imagined. This was a City of Wisemen, in which a Minister could not exercise his Functions; a warlike People amongst whom a General did not dare either to gain or lose a Battle; a learned Nation, in which a Philosopher could not venture on a free Enquiry. This was the City which banished Themistocles, starved Aristides, forced into Exile Miltiades, drove out Anaxagoras, and poisoned Socrates. This was a City which changed the Form of its Government with the Moon; eternal Conspiracies, Revolutions daily, nothing fixed and established. A Republick, as an ancient Philosopher has observed, is no one Species of Government, but a Magazine of every Species; here you find every Sort of it, and that in the worst Form. As there is a perpetual Change, one rising and the other falling, you have all the Violence and wicked Policy, by which a beginning Power must always acquire its Strength, and all the Weakness by which falling States are brought to a complete Destruction. Rome has a more venerable Aspect than Athens; and she conducted her Affairs, so far as related to the Ruin and Oppression of the greatest Part of the World, with greater Wisdom and more Uniformity. But the domestic Oeconomy of these two States was nearly or altogether the same. An internal Dissention constantly tore to Pieces the Bowels of the Roman Commonwealth. You find the same Confusion, the same Factions which subsisted at Athens, the same Tumults, the same Revolutions, and in fine, the same Slavery. If perhaps their former Condition did not deserve that Name altogether as well. All other Republicks were of the same Character. Florence was a Transcript of Athens. And the modern Republicks, as they approach more or less to the Democratick Form, partake more or less of the Nature of those which I have described. We are now at the Close of our Review of the three simple Forms of artificial Society, and we have shewn them, however they may differ in Name, or in some slight Circumstances, to be all alike in effect; in effect, to be all Tyrannies. But suppose we were inclined to make the most ample Concessions; let us concede Athens, Rome, Carthage, and two or three more of the ancient, and as many of the modern Commonwealths, to have been, or to be free and happy, and to owe their Freedom and Happiness to their political Constitution. Yet allowing all this, what Defence does this make for artificial Society in general, that these inconsiderable Spots of the Globe have for some short Space of Time stood as Exceptions to a Charge so general? But when we call these Governments free, or concede that their Citizens were happier than those which lived under different Forms, it is merely ex abundanti. For we should be greatly mistaken, if we really thought that the Majority of the People which filled these Cities, enjoyed even that nominal political Freedom of which I have spoken so much already. In reality, they had no Part of it. In Athens there were usually from ten to thirty thousand Freemen: This was the utmost. But the Slaves usually amounted to four hundred thousand, and sometimes to a great many more. The Freemen of Sparta and Rome were not more numerous in proportion to those whom they held in a Slavery, even more terrible than the Athenian. Therefore state the Matter fairly: The free States never formed, though they were taken all together, the thousandth Part of the habitable Globe; the Freemen in these States were never the twentieth Part of the People, and the Time they subsisted is scarce any thing in that immense Ocean of Duration in which Time and Slavery are so nearly commensurate. Therefore call these free States, or popular Governments, or what you please; when we consider the Majority of their Inhabitants, and regard the Natural Rights of Mankind, they must appear in Reality and Truth, no better than pitiful and oppressive Oligarchies. After so fair an Examen, wherein nothing has been exaggerated; no Fact produced which cannot be proved, and none which has been produced in any wise forced or strained, while thousands have, for Brevity, been omitted; after so candid a Discussion in all respects; what Slave so passive, what Bigot so blind, what Enthusiast so headlong, what Politician so hardened, as to stand up in Defence of a System calculated for a Curse to Mankind? a Curse under which they smart and groan to this Hour, without thoroughly knowing the Nature of the Disease, and wanting Understanding or Courage to apply the Remedy. I need not excuse myself to your Lordship, nor, I think, to any honest Man, for the Zeal I have shewn in this Cause; for it is an honest Zeal, and in a good Cause. I have defended Natural Religion against a Confederacy of Atheists and Divines. I now plead for Natural Society against Politicians, and for Natural Reason against all three. When the World is in a fitter Temper than it is at present to hear Truth, or when I shall be more indifferent about its Temper; my Thoughts may become more publick. In the mean time, let them repose in my own Bosom, and in the Bosoms of such Men as are fit to be initiated in the sober Mysteries of Truth and Reason. My Antagonists have already done as much as I could desire. Parties in Religion and Politics make sufficient Discoveries concerning each other, to give a sober Man a proper Caution against them all. The Monarchic, Aristocratical, and Popular Partizans have been jointly laying their Axes to the Root of all Government, and have in their Turns proved each other absurd and inconvenient. In vain you tell me that Artificial Government is good, but that I fall out only with the Abuse. The Thing! the Thing itself is the Abuse! Observe, my Lord, I pray you, that grand Error upon which all artificial legislative Power is founded. It was observed, that Men had ungovernable Passions, which made it necessary to guard against the Violence they might offer to each other. They appointed Governors over them for this Reason; but a worse and more perplexing Difficulty arises, how to be defended against the Governors? Quis custodiet ipsos custodes? In vain they change from a single Person to a few. These few have the Passions of the one, and they unite to strengthen themselves, and to secure the Gratification of their lawless Passions at the Expence of the general Good. In vain do we fly to the Many. The Case is worse; their Passions are less under the Government of Reason, they are augmented by the Contagion, and defended against all Attacks by their Multitude. I have purposely avoided the mention of the mixed Form of Government, for Reasons that will be very obvious to your Lordship. But my Caution can avail me but little. You will not fail to urge it against me in favour of Political Society. You will not fail to shew how the Errors of the several simple Modes are corrected by a Mixture of all of them, and a proper Ballance of the several Powers in such a State. I confess, my Lord, that this has been long a darling Mistake of my own; and that of all the Sacrifices I have made to Truth, this has been by far the greatest. When I confess that I think this Notion a Mistake, I know to whom I am speaking, for I am satisfied that Reasons are like Liquors, and there are some of such a Nature as none but strong Heads can bear. There are few with whom I can communicate so freely as with Pope. But Pope cannot bear every Truth. He has a Timidity which hinders the full Exertion of his Faculties, almost as effectually as Bigotry cramps those of the general Herd of Mankind. But whoever is a genuine Follower of Truth, keeps his Eye steady upon his Guide, indifferent whither he is led, provided that she is the Leader. And, my Lord, if it be properly considered, it were infinitely better to remain possessed by the whole Legion of vulgar Mistakes, than to reject some, and at the same time to retain a Fondness for others altogether as absurd and irrational. The first has at least a Consistency, that makes a Man, however erroneously, uniform at least; but the latter way of proceeding is such an inconsistent Chimæra and Jumble of Philosophy and vulgar Prejudice, that hardly any thing more ridiculous can be conceived. Let us therefore freely, and without Fear or Prejudice, examine this last Contrivance of Policy. And without considering how near the Quick our Instruments may come, let us search it to the Bottom. Colour of Justice; we behold this without Emotion, because we have grown up in the constant View of such Practices; and we are not surprised to hear a Man requested to be a Knave and a Traitor, with as much Indifference as if the most ordinary Favour were asked; and we hear this Request refused, not because it is a most unjust and unreasonable Desire, but that this Worthy has already engaged his Injustice to another. These and many more Points I am far from spreading to their full Extent. You are sensible that I do not put forth half my Strength; and you cannot be at a Loss for the Reason. A Man is allowed sufficient Freedom of Thought, provided he knows how to chuse his Subject properly. You may criticise freely upon the Chinese Constitution, and observe with as much Severity as you please upon the Absurd Tricks, or destructive Bigotry of the Bonzees. But the Scene is changed as you come homeward, and Atheism or Treason may be the Names given in Britain, to what would be Reason and Truth if asserted of China. I submit to the Condition, and though I have a notorious Advantage before me, I wave the Pursuit. For else, my Lord, it is very obvious what a Picture might be drawn of the Excesses of Party even in our own Nation. I could shew, that the same Faction has in one Reign promoted popular Seditions, and in the next been a Patron of Tyranny; I could shew, that they have all of them betrayed the publick Safety at all Times, and have very frequently with equal Perfidy made a Market of their own Cause, and their own Associates. I could shew how vehemently they have contended for Names, and how silently they passed over Things of the last importance. And I could demonstrate, that they have had the Opportunity of doing all this Mischief, nay, that they themselves had their Origin and Growth from the Complex Form of Government which we are wisely taught to look upon as so great a Blessing. Revolve, my Lord, our History from the Conquest. We scarce ever had a Prince, who by Fraud, or Violence, had not made some Infringement on the Constitution. We scarce ever had a Parliament which knew, when it attempted to set Limits to the Royal Authority, how to set Limits to its own. Evils we have had continually calling for Reformation, and Reformations more grievous than any Evils. Our boasted Liberty sometimes trodden down, sometimes giddily set up, ever precariously fluctuating and unsettled; it has been only kept alive by the Blasts of continual Feuds, Wars, and Conspiracies. In no Country in Europe has the Scaffold so often blushed with the Blood of its Nobility. Confiscations, Banishments, Attainders, and Executions, make a large Part of the History of such of our Families as are not utterly extinguished by them. Formerly indeed Things had a more ferocious Appearance than they have at this Day. In these early and unrefined Ages, the jarring Parts of a certain chaotic Constitution supported their several Pretensions by the Sword. Experience and Policy have since taught other Methods. Res vero nunc agitur tenui pulmone rubetæ. But how far Corruption, Venality, the Contempt of Honour, the Oblivion of all Duty to our Country, and the most abandoned publick Prostitution, are preferable to the more glaring and violent Effects of Faction, I will not presume to determine. Sure I am that they are very great Evils. I have done with the Forms of Government. During the Course of my Enquiry you may have observed a very material Difference between my Manner of Reasoning and that which is in Use amongst the Abetors of artificial Society. They form their Plans upon what seems most eligible to their Imaginations, for the ordering of Mankind. I discover the Mistakes in those Plans, from the real known Consequences which have resulted from them. They have inlisted Reason to fight against itself, and employ its whole Force to prove that it is an insufficient Guide to them in the Conduct of their Lives. But unhappily for us, in proportion as we have deviated from the plain Rule of our Nature, and turned our Reason against itself, in that Proportion have we increased the Follies and Miseries of Mankind. The more deeply we penetrate into the Labyrinth of Art, the further we find ourselves from those Ends for which we entered it. This has happened in almost every Species of Artificial Society, and in all Times. We found, or we thought we found, an Inconvenience in having every Man the Judge of his own Cause. Therefore Judges were set up, at first with discretionary Powers. But it was soon found a miserable Slavery to have our Lives and Properties precarious, and hanging upon the arbitrary Determination of any one Man, or Set of Men. We flew to Laws as a Remedy for this Evil. By these we persuaded ourselves we might know with some Certainty upon what Ground we stood. But lo! Differences arose upon the Sense and Interpretation of these Laws. Thus we were brought back to our old Incertitude. New Laws were made to expound the old; and new Difficulties arose upon the new Laws; as Words multiplied, Opportunities of cavilling upon them multiplied also. Then Recourse was had to Notes, Comments, Glosses, Reports, Responsa Prudentum, learned Readings: Eagle stood against Eagle: Authority was set up against Authority. Some were allured by the modern, others reverenced the ancient. The new were more enlightened, the old were more venerable. Some adopted the Comment, others stuck to the Text. The Confusion increased, the Mist thickened, until it could be discovered no longer what was allowed or forbidden, what Things were in Property, and what common. In this Uncertainty, (uncertain even to the Professors, an Ægyptian Darkness to the rest of Mankind) the contending Parties felt themselves more effectually ruined by the Delay than they could have been by the Injustice of any Decision. Our Inheritances are become a Prize for Disputation; and Disputes and Litigations are become an Inheritance. The Professors of Artificial Law have always walked hand in hand with the Professors of Artificial Theology. As their End, in confounding the Reason of Man, and abridging his natural Freedom, is exactly the same, they have adjusted the Means to that End in a Way entirely similar. The Divine thunders out his Anathemas with more Noise and Terror against the Breach of one of his positive Institutions, or the Neglect of some of his trivial Forms, than against the Neglect or Breach of those Duties and Commandments of natural Religion, which by these Forms and Institutions he pretends to enforce. The Lawyer has his Forms, and his positive Institutions too, and he adheres to them with a Veneration altogether as religious. The worst Cause cannot be so prejudicial to the Litigant, as his Advocates or Attorneys Ignorance or Neglect of these Forms. A Law-suit is like an ill-managed Dispute, in which the first Object is soon out of Sight, and the Parties end upon a Matter wholly foreign to that on which they began. In a Law-suit the Question is, Who has a Right to a certain House or Farm? And this Question is daily determined, not upon the Evidences of the Right, but upon the Observance or Neglect of some Forms of Words in use with the Gentlemen of the Robe, about which there is even amongst themselves such a Disagreement, that the most experienced Veterans in the Profession can never be positively assured that they are not mistaken. Let us expostulate with these learned Sages, these Priests of the sacred Temple of Justice. Are we Judges of our own Property? By no means. You then, who are initiated into the Mysteries of the blindfold Goddess, inform me whether I have a Right to eat the Bread I have earned by the Hazard of my Life, or the Sweat of my Brow? The grave Doctor answers me in the Affirmative. The reverend Serjeant replies in the Negative; the learned Barrister reasons upon one side and upon the other, and concludes nothing. What shall I do? An Antagonist starts up and presses me hard. I enter the Field, and retain these three Persons to defend my Cause. My Cause, which two Farmers from the Plough could have decided in half an Hour, takes the Court twenty Years. I am however at the end of my Labour, and have in Reward for all my Toil and Vexation, a Judgment in my Favour. But holda sagacious Commander, in the Adversarys Army has found a Flaw in the Proceeding. My Triumph is turned into Mourning. I have used or, instead of and, or some Mistake, small in Appearance, but dreadful in its Consequences, and have the whole of my Success quashed in a Writ of Error. I remove my Suit; I shift from Court to Court; I fly from Equity to Law, and from Law to Equity; equal Uncertainty attends me every where: And a Mistake in which I had no Share, decides at once upon my Liberty and Property, sending me from the Court to a Prison, and adjudging my Family to Beggary and Famine. I am innocent, Gentlemen, of the Darkness and Uncertainty of your Science. I never darkened it with absurd and contradictory Notions, nor confounded it with Chicane and Sophistry. You have excluded me from any Share in the Conduct of my own Cause; the Science was too deep for me; I acknowledged it; but it was too deep even for yourselves: You have made the way so intricate, that you are yourselves lost in it: You err, and you punish me for your Errors. The Delay of the Law is, your Lordship will tell me, a trite Topic, and which of its Abuses have not been too severely felt not to be often complained of? A Mans Property is to serve for the Purposes of his Support; and therefore to delay a Determination concerning that, is the worst Injustice, because it cuts off the very End and Purpose for which I applied to the Judicature for Relief. Quite contrary in Case of a Mans Life, there the Determination can hardly be too much protracted. Mistakes in this Case are as often fallen into as in any other, and if the Judgment is sudden, the Mistakes are the most irretrievable of all others. Of this the Gentlemen of the Robe are themselves sensible, and they have brought it into a Maxim. De morte hominis nulla est cunctatio longa. But what could have induced them to reverse the Rules, and to contradict that Reason which dictated them, I am utterly unable to guess. A Point concerning Property, which ought, for the Reasons I just mentioned, to be most speedily decided, frequently exercises the Wit of Successions of Lawyers, for many Generations. Multa virum volvens durando sæcula vincit. But the Question concerning a Mans Life, that great Question in which no Delay ought to be counted tedious, is commonly determined in twenty-four Hours at the utmost. It is not to be wondered at, that Injustice and Absurdity should be inseparable Companions. Ask of Politicians the End for which Laws were originally designed; and they will answer, that the Laws were designed as a Protection for the Poor and Weak against the Oppression of the Rich and Powerful. But surely no Pretence can be so ridiculous; a Man might as well tell me he has taken off my Load, because he has changed the Burthen. If the poor Man is not able to support his Suit, according to the vexatious and expensive manner established in civilized Countries, has not the Rich as great an Advantage over him as the Strong has over the Weak in a State of Nature? But we will not place the State of Nature, which is the Reign of God, in competition with Political Society, which is the absurd Usurpation of Man. In a State of Nature, it is true, that a Man of superior Force may beat or rob me; but then it is true, that I am at full Liberty to defend myself, or make Reprisal by Surprize or by Cunning, or by any other way in which I may be superior to him. But in Political Society, a rich Man may rob me in another way. I cannot defend myself; for Money is the only Weapon with which we are allowed to fight. And if I attempt to avenge myself, the whole Force of that Society is ready to complete my Ruin. A good Parson once said, that where Mystery begins, Religion ends. Cannot I say, as truly at least, of human Laws, that where Mystery begins, Justice ends? It is hard to say, whether the Doctors of Law or Divinity have made the greater Advances in the lucrative Business of Mystery. The Lawyers, as well as the Theologians, have erected another Reason besides Natural Reason; and the Result has been, another Justice besides Natural Justice. They have so bewildered the World and themselves in unmeaning Forms and Ceremonies, and so perplexed the plainest Matters with metaphysical Jargon, that it carries the highest Danger to a Man out of that Profession, to make the least Step without their Advice and Assistance. Thus by confining to themselves the knowledge of the Foundation of all Mens Lives and Properties, they have reduced all Mankind into the most abject and servile Dependence. We are Tenants at the Will of these Gentlemen for every thing; and a metaphysical Quibble is to decide whether the greatest Villain breathing shall meet his Desserts, or escape with Impunity, or whether the best Man in the Society shall not be reduced to the lowest and most despicable Condition it affords. In a word, my Lord, the Injustice, Delay, Puerility, false Refinement, and affected Mystery of the Law are such, that many who live under it come to admire and envy the Expedition, Simplicity, and Equality of arbitrary Judgments. I need insist the less on this Article to your Lordship, as you have frequently lamented the Miseries derived to us from Artificial Law, and your Candor is the more to be admired and applauded in this, as your Lordships noble House has derived its Wealth and its Honours from that Profession. Before we finish our Examination of Artificial Society, I shall lead your Lordship into a closer Consideration of the Relations which it gives Birth to, and the Benefits, if such they are, which result from these Relations. The most obvious Division of Society is into Rich and Poor; and it is no less obvious, that the Number of the former bear a great Disproportion to those of the latter. The whole Business of the Poor is to administer to the Idleness, Folly, and Luxury of the Rich; and that of the Rich, in return, is to find the best Methods of confirming the Slavery and increasing the Burthens of the Poor. In a State of Nature, it is an invariable Law, that a Mans Acquisitions are in proportion to his Labours. In a State of Artificial Society, it is a Law as constant and as invariable, that those who labour most, enjoy the fewest Things; and that those who labour not at all, have the greatest Number of Enjoyments. A Constitution of Things this, strange and ridiculous beyond Expression. We scarce believe a thing when we are told it, which we actually see before our Eyes every Day without being in the least surprized. I suppose that there are in Great-Britain upwards of an hundred thousand People employed in Lead, Tin, Iron, Copper, and Coal Mines; these unhappy Wretches scarce ever see the Light of the Sun; they are buried in the Bowels of the Earth; there they work at a severe and dismal Task, without the least Prospect of being delivered from it; they subsist upon the coarsest and worst sort of Fare; they have their Health miserably impaired, and their Lives cut short, by being perpetually confined in the close Vapour of these malignant Minerals. An hundred thousand more at least are tortured without Remission by the suffocating Smoak, intense Fires, and constant Drudgery necessary in refining and managing the Products of those Mines. If any Man informed us that two hundred thousand innocent Persons were condemned to so intolerable Slavery, how should we pity the unhappy Sufferers, and how great would be our just Indignation against those who inflicted so cruel and ignominious a Punishment? This is an Instance, I could not wish a stronger, of the numberless Things which we pass by in their common Dress, yet which shock us when they are nakedly represented. But this Number, considerable as it is, and the Slavery, with all its Baseness and Horror, which we have at home, is nothing to what the rest of the World affords of the same Nature. Millions daily bathed in the poisonous Damps and destructive Effluvia of Lead, Silver, Copper, and Arsenic. To say nothing of those other Employments, those Stations of Wretchedness and Contempt in which Civil Society has placed the numerous Enfans perdus of her Army. Would any rational Man submit to one of the most tolerable of these Drudgeries, for all the artificial Enjoyments which Policy has made to result from them? By no means. And yet need I suggest to your Lordship, that those who find the Means, and those who arrive at the End, are not at all the same Persons. On considering the strange and unaccountable Fancies and Contrivances of artificial Reason, I have somewhere called this Earth the Bedlam of our System. Looking now upon the Effects of some of those Fancies, may we not with equal Reason call it likewise the Newgate, and the Bridewell of the Universe. Indeed the Blindness of one Part of Mankind co-operating with the Frenzy and Villainy of the other, has been the real Builder of this respectable Fabric of political Society: And as the Blindness of Mankind has caused their Slavery, in Return their State of Slavery is made a Pretence for continuing them in a State of Blindness; for the Politician will tell you gravely, that their Life of Servitude disqualifies the greater Part of the Race of Man for a Search of Truth, and supplies them with no other than mean and insufficient Ideas. This is but too true; and this is one of the Reasons for which I blame such Institutions. In a Misery of this Sort, admitting some few Lenities, and those too but a few, nine Parts in ten of the whole Race of Mankind drudge through Life. It may be urged perhaps, in palliation of this, that, at least, the rich Few find a considerable and real Benefit from the Wretchedness of the Many. But is this so in fact? Let us examine the Point with a little more Attention. For this Purpose the Rich in all Societies may be thrown into two Classes. The first is of those who are Powerful as well as Rich, and conduct the Operations of the vast political Machine. The other is of those who employ their Riches wholly in the Acquisition of Pleasure. As to the first Sort, their continual Care, and Anxiety, their toilsome Days, and sleepless Nights, are next to proverbial. These Circumstances are sufficient almost to level their Condition to that of the unhappy Majority; but there are other Circumstances which place them in a far lower Condition. Not only their Understandings labour continually, which is the severest Labour, but their Hearts are torn by the worst, most troublesome, and insatiable of all Passions, by Avarice, by Ambition, by Fear and Jealousy. No part of the Mind has Rest. Power gradually extirpates from the Mind every humane and gentle Virtue. Pity, Benevolence, Friendship are Things almost unknown in high Stations. Varæ amicitiæ rarissime inveniuntur in iis qui in honoribus reque publica versantur, says Cicero. And indeed, Courts are the Schools where Cruelty, Pride, Dissimulation, and Treachery are studied and taught in the most vicious Perfection. This is a Point so clear and acknowledged, that if it did not make a necessary Part of my Subject, I should pass it by entirely. And this has hindered me from drawing at full length, and in the most striking Colours, this shocking Picture of the Degeneracy and Wretchedness of human Nature, in that Part which is vulgarly thought its happiest and most amiable State. You know from what Originals I could copy such Pictures. Happy are they who know enough of them to know the little Value of the Possessors of such Things, and of all that they possess; and happy they who have been snatched from that Post of Danger which they occupy, with the Remains of their Virtue; Loss of Honours, Wealth, Titles, and even the Loss of ones Country, is nothing in Balance with so great an Advantage. I am conscious, my Lord, that your Politician will urge in his Defence, that this unequal State is highly useful. That without dooming some Part of Mankind to extraordinary Toil, the Arts which cultivate Life could not be exercised. But I demand of this Politician, how such Arts came to be necessary? He answers, that Civil Society could not well exist without them. So that these Arts are necessary to Civil Society, and Civil Society necessary again to these Arts. Thus running in a Circle, without Modesty, and without End, and making one Error and Extravagance an Excuse for the other. My Sentiments about these Arts and their Cause, I have often discoursed with my Friends at large. Pope has expressed them in good Verse, where he talks with so much Force of Reason and Elegance of Language in Praise of the State of Nature: Then was not Pride, nor Arts that Pride to aid, Man walkd with Beast, Joint-tenant of the Shade. On the whole, my Lord, if Political Society, in whatever Form, has still made the Many the Property of the Few; if it has introduced Labours unnecessary, Vices and Diseases unknown, and Pleasures incompatible with Nature; if in all Countries it abridges the Lives of Millions, and renders those of Millions more utterly abject and miserable, shall we still worship so destructive an Idol, and daily sacrifice to it our Health, our Liberty, and our Peace? Or shall we pass by this monstrous Heap of absurd Notions, and abominable Practices, thinking we have sufficiently discharged our Duty in exposing the trifling Cheats, and ridiculous Juggles of a few mad, designing, or ambitious Priests? Alas! my Lord, we labour under a mortal Consumption, whilst we are so anxious about the Cure of a sore Finger. For has not this Leviathan of Civil Power overflowed the Earth with a Deluge of Blood, as if he were made to disport and play therein? We have shewn, that Political Society, on a moderate Calculation, has been the Means of murdering several times the Number of Inhabitants now upon the Earth, during its short Existence, not upwards of four thousand Years in any Accounts to be depended on. But we have said nothing of the other, and perhaps as bad Consequence of these Wars, which have spilled such Seas of Blood, and reduced so many Millions to a merciless Slavery. But these are only the Ceremonies performed in the Porch of the political Temple. Much more horrid ones are seen as you enter it. The several Species of Government vie with each other in the Absurdity of their Constitutions, and the Oppression which they make their Subjects endure. Take them under what Form you please, they are in effect but a Despotism, and they fall, both in Effect and Appearance too, after a very short Period, into that cruel and detestable Species of Tyranny; which I rather call it, because we have been educated under another Form, than that this is of worse Consequences to Mankind. For the free Governments, for the Point of their Space, and the Moment of their Duration, have felt more Confusion, and committed more flagrant Acts of Tyranny, than the most perfect despotic Governments which we have ever known. Turn your Eye next to the Labyrinth of the Law, and the Iniquity conceived in its intricate Recesses. Consider the Ravages committed in the Bowels of all Commonwealths by Ambition, by Avarice, Envy, Fraud, open Injustice, and pretended Friendship; Vices which could draw little Support from a State of Nature, but which blossom and flourish in the Rankness of political Society. Revolve our whole Discourse; add to it all those Reflections which your own good Understanding shall suggest, and make a strenuous Effort beyond the Reach of vulgar Philosophy, to confess that the Cause of Artificial Society is more defenceless even than that of Artificial Religion; that it is as derogatory from the Honour of the Creator, as subversive of human Reason, and productive of infinitely more Mischief to the human Race. If pretended Revelations have caused Wars where they were opposed, and Slavery where they were received, the pretended wise Inventions of Politicians have done the same. But the Slavery has been much heavier, the Wars far more bloody, and both more universal by many Degrees. Shew me any Mischief produced by the Madness or Wickedness of Theologians, and I will shew you an hundred, resulting from the Ambition and Villainy of Conquerors and Statesmen. Shew me an Absurdity in Religion, I will undertake to shew you an hundred for one in political Laws and Institutions. If you say, that Natural Religion is a sufficient Guide without the foreign Aid of Revelation, on what Principle should Political Laws become necessary? Is not the same Reason available in Theology and in Politics? If the Laws of Nature are the Laws of God, is it consistent with the Divine Wisdom to prescribe Rules to us, and leave the Enforcement of them to the Folly of human Institutions? Will you follow Truth but to a certain Point? Had his Lordship lived to our Days, to have seen the noble Relief given by this Nation to the distressed Portuguese, he had perhaps owned this Part of his Argument a little weakened, but we do not think ourselves intitled to alter his Lordships Words, but that we are bound to follow him exactly.